In the north Russian region, people are protesting against the «import» of household garbage from the capital. There are posters and leaflets everywhere. There has been a vote of no confidence against the head of the district. And rallies are being planned. 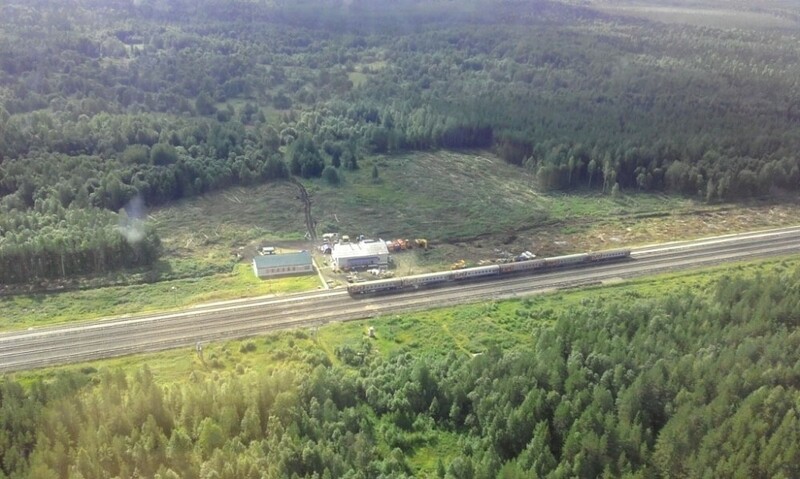 The village of Urdom in the Arkhangelsk region is protesting against the construction of a huge landfill in the forest belt 30 km from the village. The landfill is designated as a disposal point for household waste material from Moscow. Yet, what they are building has not been publicized and there have been no public hearings on this matter. But the angry villagers, having discovered the plan only after conducting their own investigation, are determined to put a stop to this project. Urdom is a working village in the Lensky District of the Arkhangelsk Region, 35 kilometers from the point where the Komi Republic begins. It is a stop on the Northern Railway on the Kotlas-Vorkuta line. About 5 thousand people live in this rural settlement. Residents began to discuss logging activities at the Shyes station on social networks on July 20th. Apparently, two visitors, most probably from Moscow, had been hired to cut down trees in the forest in an area near the railway line. Large construction machinery had been gathered near the platform as well as workers. A local found out that there was no local certificate issued but one of the visitors did have an employment certificate from the Moscow city Department of Housing and Public Utilities and Improvements. What a couple of Moscow landscapers might be up to in the Lensky district, people could only guess. Just the day before, the news about the construction of a new solid waste landfill provoked the residents of Konosha. The local newspaper Echo Severa, referring to its sources, reported that a landfill test site was being constructed and would include laying a new branch of railroad line near Konosha, near the village of Glotikha. However, the official government response was that there would be no such construction in Konosha. But, then inhabitants of Urdom discovered the mysterious logging near the railway line and realized that the “dump” was being transferred to them. Why say dump? Because the topic of «garbage» is just as hot in Arkhangelsk this summer as it is in the Moscow suburbs. They burn garbage regularly at the largest dump in the region, which is located just outside the city of Severodvinsk. And the townspeople there are suffocating from the toxic emissions and residents regularly upload videos and photo evidence of violations of waste management at the landfill to the Internet. According to official information however, the dumping site is only at 57% capacity and can still be used until 2031. And they add that the stench is clearly not due to overuse but rather how the work is arranged. A new operator for handling solid waste, the «EcoCenter» company, showed up in the Arkhangelsk market at the peak of the complaints. EcoCenter is a member of the «Clean City» holding company group, which has been mentioned in a series of scandals in the Volgograd region. There, certain officials were accused of having a not so disinterested partiality when choosing a regional operator for their waste management operation. However, as they did in Volgograd, the Clean City group, as represented by EcoCentre, came to Arkhangelsk with an ambitious investment project that would provide a waste sorting and processing facility as well as the construction of new landfills and incinerators. According to Governor Igor Orlov, there will be a total of seven landfills. They are planned built by EcoCenter as part of their concession for creating a new waste management system in the region. And locals need not worry as all Eco-techno parks are supposedly built exclusively at the investor’s expense. Meanwhile, they are still clashing over project number 1. There, according to the joint investor plan, which includes Severodvinsk City Hall and the regional government, their city garbage burning dump must be moved and they want it located in the village of Rikasikha near Severodvinsk. The problem there, however, is that Rikasikha is a popular spot for summer dachas with two horticultural associations and the boundaries of the landfill would end up literally one and a half kilometers from the houses. Three years ago, Governor Orlov vouched on the air on local TV that there would never be a dump in Rikasikha. But then, he seemed to have somehow changed his mind. The struggle had been going on for more than a year and during this time, thousands of signatures were collected and everyone was against the landfill arrangement. Appeals were written to various levels of government up to and including the head of state. But despite this, residents were informed at public hearings one month ago that the plan for the waste management facility had been approved. A dump site the size of 40 football fields would be constructed, there would be an incineration plant for 250,000 tons of garbage a year and wastes would be collected not only from Severodvinsk, but also from Arkhangelsk, Novodvinsk, Severodvinsk and the Primorsky region. Rikasikha’s fate had been sealed. The people there booed the speakers. Popov: The hall is completely full. There are maybe 300 people here. Fomenko: Well, it’s not over because of them. Someone there other than the ones we brought in will vote «for». Most probably, according to journalists, the words «brought in» belonged to a group of Uzbekistani citizens who also attended the meeting. Foreign citizens in Severodvinsk by the way usually cannot easily get access to the regime but this group of guys, who spoke Russian rather poorly, turned out to be students of the Arkhangelsk University (SAFU). This was confirmed later when they apologized to local people on social networks, assuring them that they had not known what they were doing or why. The hearings turned into a scandal and the desired results did not pass. After a month and a half, Governor Igor Orlov came in to settle the situation. At his meeting with the residents, he promised to create a public commission and also stated that there was as yet no test dump project or plant, nor did they have the results of the territory survey. The residents demanded a referendum from Orlov because of his involvement in the Rigasikha landfill. Further, the governor suggested that the protests had been organized by a «group of people» who were concerned only with their dachas. Creating a burn site well away from any settlements is financially expedient, he explained. There would be tariffs for garbage disposal and they would grow as time passes. When asked about the item in the current agreement with the new regional operator banning garbage collection from other regions, Orlov said that it would only be possible to accept «outside» waste if an appropriate agreement might be reached. But for the time being, he assured, there was no such agreement. The question is not without ground. Local journalists claim that the regional government is interested in creating a category 4-5 landfill for disposal of waste from the Moscow region. Sergey Donskoy, the former head of the Ministry of Natural Resources reminded us in an interview with RusBusinessConsulting news that yes, it is legal for Moscow to export its garbage to other regions. 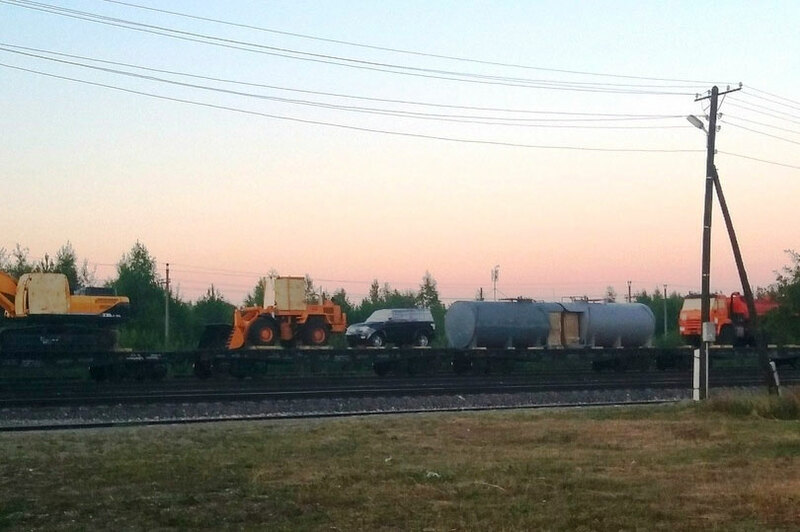 And after, Russian Railways reported that specific guidelines have been established for the transportation of garbage to the regions and 25 sorting complexes are being planned. Suppose the toilet got clogged in your house. Would you build a new one in the living room? Meanwhile, the municipal deputies of Urdom have gone to Shyes. There, the chairman of the local council, Alexander Kravets, discovered a collection of new construction equipment, all of which were unnumbered, near the railroad track and there was a train with 6 wagons for the workers, complete with sleeping facilities and a field kitchen. This visit with the workers redirected his inspection to the Moscow Department of Housing and Communal services, where he was advised to apply to the Internet reception of this department. They simply refused to talk about what they were building. After that, the head of the settlement, who it turned out was completely unaware of any construction, made statements to the Urdoma council of deputies. The activists who went to Shyes privately said that, according to the builders they had spoken to, the workers were there to clear the territory for laying a railway spur that would lead to the «Moscow dump site». According to them, the site will daily receive up to 5 trains with crushed briquetted garbage for burning and burial. The railway workers said the same. And once they arrived in Shyes, unlike Rikasikha, they could see that work was already underway. So, here, officially at least, we had a project that the local authorities know nothing about. Perhaps this came about because of a loophole. Given that the territory actually stands on the border of two regions - Arkhangelsk and Komi, the federal authority might have issued the building permit without informing the local officials. Apparently, the Urban Development Code could have allowed for this. But the scandal grew and forced the regional officials back into their offices. Yevgeny Fomenko, the same deputy chairman of the regional government, appeared in Urdom on Tuesday. Initially, the meeting was planned only for 4 «public representatives». But when a mass of local people gathered outside the local council meeting hall, the meeting feverishly got transferred to a club, which also was not big enough to hold the amount of people there to protest the project. So Fomenko and the crowd of angry citizens moved to the local Dom Kultura hall where they had 200 seats. This was still not enough and people were standing in the isles and still more were waiting outside on the street. Meanwhile, local residents are not going to wait. The area is marshy and the water from here feeds several rivers so everyone is afraid of an ecological catastrophe. And this is not only in Urdom. There is also a collection of signatures against the landfill from Madmas residents, a settlement in the Komi Republic, 19 km from Shyes. Activists have sent clarification requests to the governor, the heads of the district and the settlement. They have also sent letters to the Federal Consumer Protection and Welfare Oversight Committee, the prosecutor’s office, the National Investigative Committee, demanding that they check the legality of the tree cutting.